The Chicago Book Online Business Profile -- Hausner Hard-Chrome, Inc.
Wolfgang Hausner may be retired from the plating company he founded in Elk Grove Village, but he is certainly not forgotten. 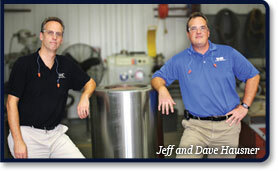 Not only does he continue to help out with projects on an as-needed basis as an engineering consultant, but his influence is still very much present in the attitudes and work ethic of his two sons, Jeff and Dave Hausner, who continue to guide Hausner Hard Chrome Inc. as president and CEO respectively. "Our father has such a passion for this business and wants to see it succeed," says Jeff Hausner, "and he also instilled that attitude in us. Our father always found a way to do the impossible for his customers; he would never say that something couldn't be done. 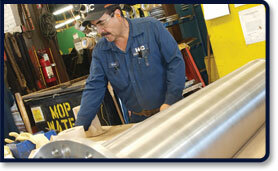 The company today operates on the same attributes of quality, service, and innovation." The foundations of Hausner Hard Chrome were built in Germany, where Wolfgang's father Hans created and ran the largest chrome plating company in the country during World War II. "My father developed a chrome plating process in Germany that is harder than glass and which can cut through a Coke bottle," says Wolf Hausner. "This hard chrome coating is very different from decorative chrome. It is ideal for protecting industrial items against wear and tear. It is also safe to use in the pharmaceutical and food processing industries because it is not toxic." After the war, Hans Hausner relocated his family to the United States and with Wolfgang's help, built up his business again out of a small plant in Chicago. After Hans retired, Wolfgang went into business himself as Hausner Hard Chrome in 1969, with the help of a $5,000 loan from a business partner, by renting a 5,000-square-foot building in Elk Grove Village's burgeoning industrial park. "He decided to leave behind the older buildings and the gridlock of the city, and become part of the forefront of a whole new industrial area," says Jeff Hausner. "Most of the early equipment I purchased at auctions or built myself," says Wolf Hausner. "I worked ten to 12-hour days until I had built the business into a $15,000,000 a year company." The original building at 670 Greenleaf Avenue is now one of several that Hausner Hard Chrome owns, along with another location in Owensboro, Kentucky. 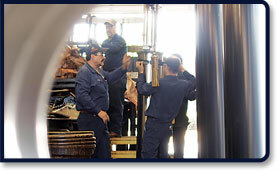 The company employs approximately 50 workers at the Elk Grove location and more than 100 in Kentucky, and has grown into one of the largest plating companies in the United States. Although Hausner Hard Chrome provides its services to about 700 customers in over 20 different industries, including the world's largest manufacturer of earth-moving equipment, its principal customers are in the asphalt shingle roofing and the steel mill industries. "Both of these industries use items that need to be protected from wear and tear, and that's what our plating processes do," says Jeff Hausner. "In the past, we also did a lot of work for customers in the printing business because their machine parts suffered a lot of abrasion from the chemicals in printing inks, as well as for the canning industry where the use of stainless steel and solvents caused lubrication problems. Both of these industries have since gone into decline because of the Internet and plastic, but there are plenty of other industrial procedures that can benefit from chrome plating. 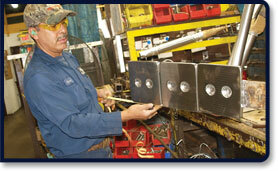 Our goal is to solve industry's wear problems, as well as corrosion and sticking." 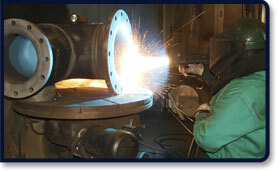 Besides its chrome plating processes, Hausner Hard Chrome also provides alternative coatings with thermal spray and HVOF, metal finishing, welding, and pickup and delivery services, as well as 24/7 emergency repair of customer machinery in their plants through at its on-site division. at the Kentucky location.